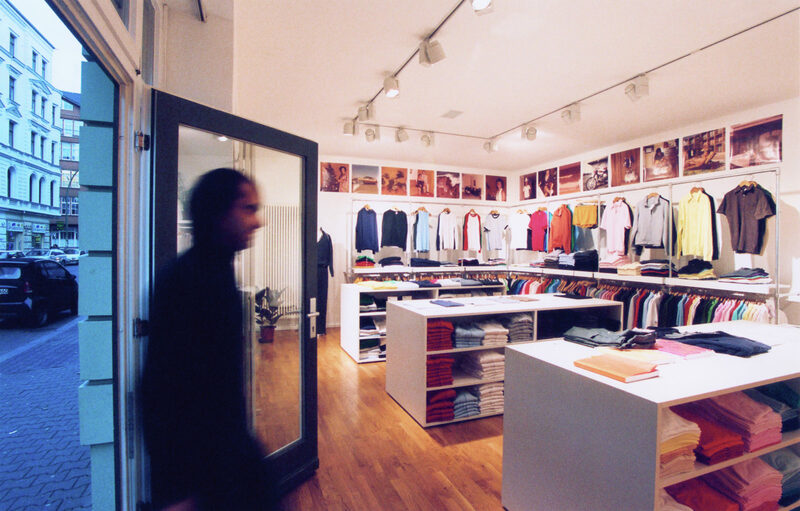 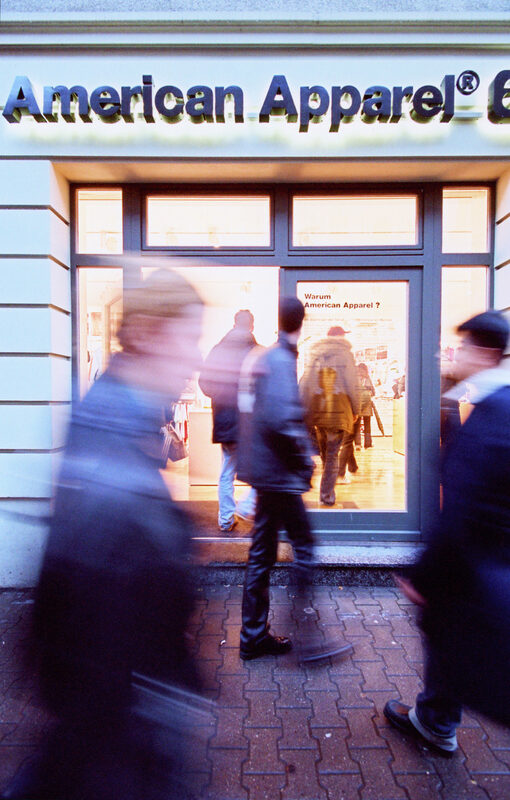 In 2004, the commission was to develop the first retail stores for the brand in Europe, beginning with Frankfurt and Berlin. 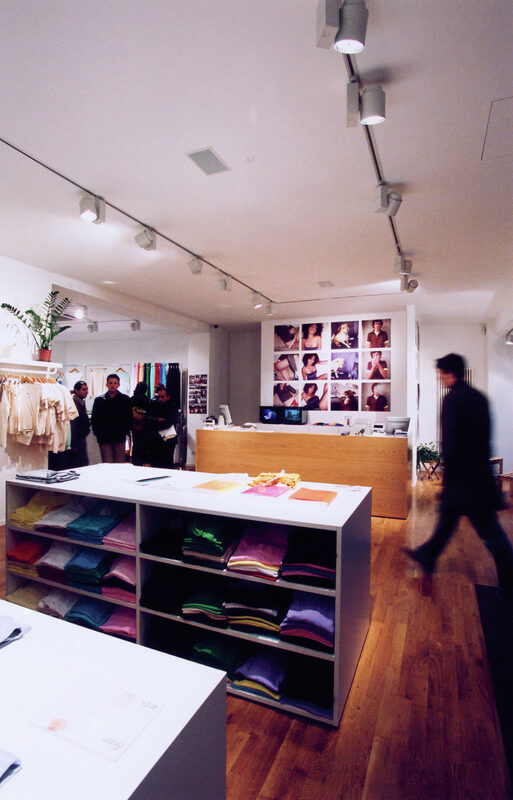 The interior design for American Apparel focuses on the represented product. 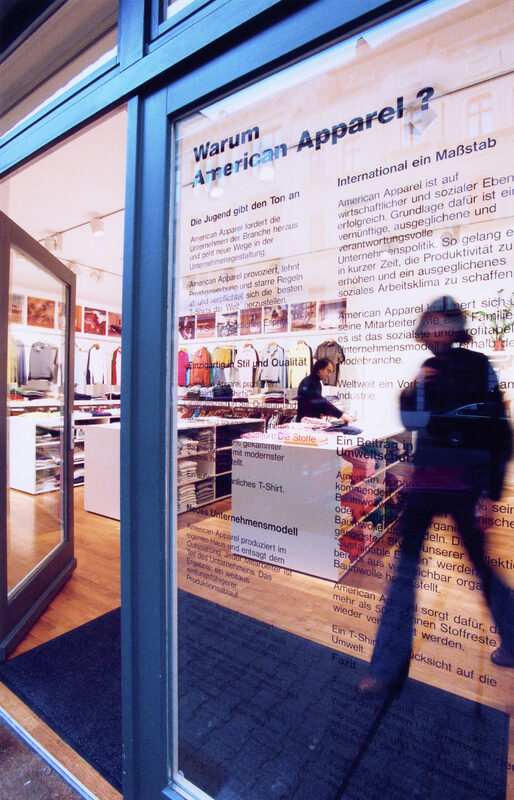 A combination of front-facing presentation and nearby storage allow for an effective communication with the customer. 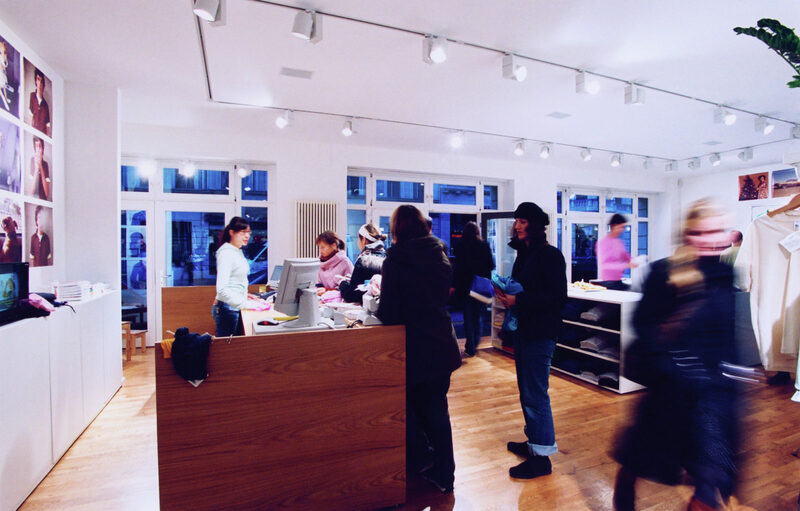 The choice of simple materials and partially pre-made shop fittings match the casual aesthetics and ecological message of the manufacturer.